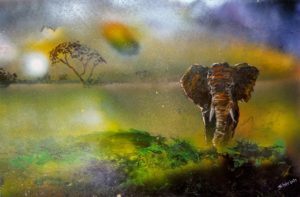 King of the Savannah… Learn to paint this amazing scene using a combination of spray paints and acrylic paints in less than 20 minutes! Do make sure you subscribe to the channel and enable Notifications! A quick sketch done yesterday night. 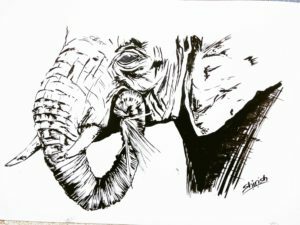 Black Ink applied with brushes on smooth cardboard paper. White poster color used for some highlights. 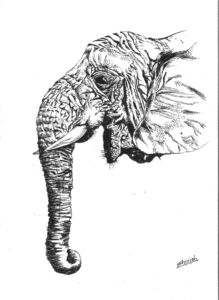 Another pen sketch done to exploit the full texture potential of the pen medium!